Breakfast this morning was served at Restaurant Ubupo instead of the usual restaurant we had dined at the day before. Our beautifully decorated starter platter! It's times like this that I wish my girl was here because the boys don't eat yoghurt so one of these bowls of yoghurt was wasted as I could only finish two bowls! Sigh. Anyway, breakfast was awesome as usual! I can't wait to bring my connoisseur girl back here one day to try the food! I'm sure that she will really enjoy it! After breakfast, we packed up and checked out of the hotel. We were sad to say goodbye and will dearly miss our stay here! At Izu-Inatori Station, we had to purchase a ticket each to Odawara Station, where we had to transfer to another train to Hakone. The train ticket cost us ¥1,850 per adult per way; children under 6 years old is FREE. This ticket price is for the ordinary local train via the Izukyu Line and Tokaido Line. You will therefore need to change lines at Atami Station before alighting at Odawara Station. The journey takes approximately 2 hours but it is the cheapest option. If you want to save time, you can also take the direct Odoriko Limited Express to Odawara Station (less stops and no transfers) but that will cost you double at around ¥3,600 per adult per way. 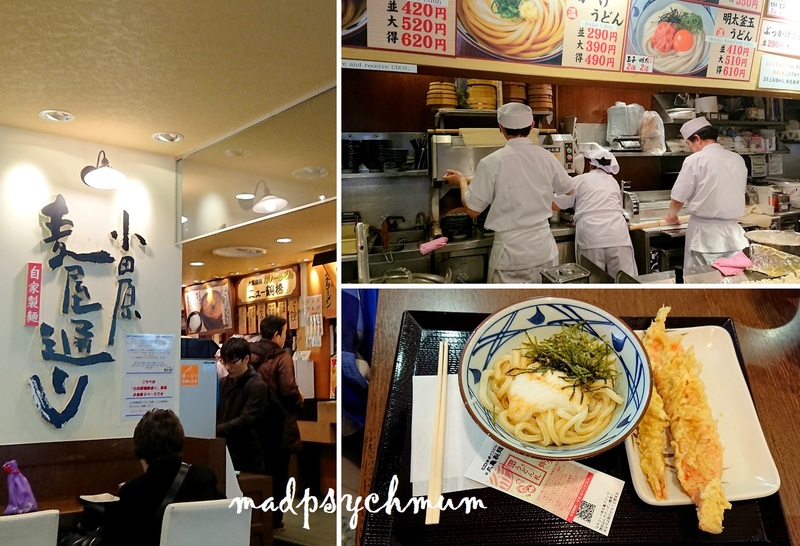 We were hungry by the time we arrived at Odawara Station so we had lunch at a food court at B1 of Lusca Shopping Mall. After lunch we headed to the Hakone Tozan Railway to board the train to Hakone. A one-way train ride via the Hakone Tozan Line to Hakone-Yumoto Station costs ¥310 per adult (children under 6 years old FREE). Once we arrived at Hakone-Yumoto Station, we boarded a taxi to our hotel. Even though the journey to our hotel was only 10 minutes according to Google Maps and taxi fares were not cheap, we were advised by previous guests who posted their reviews on Agoda to take a taxi because the hotel was located on the mountain. Just as the Agoda reviewers had said, the taxi had to drive up a very steep road before reaching the hotel! There was no way that we could have handled it with a toddler and our huge luggage! We were more than happy to pay ¥760 for the taxi ride! We arrived at Tounosawa Ichinoyu Shinkan Hotel quite comfortably. 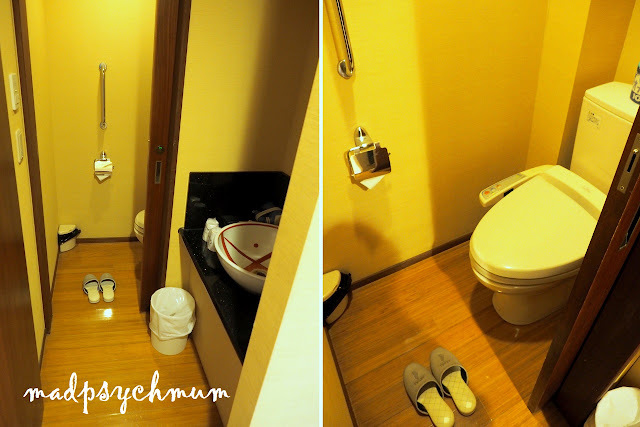 We had booked the Japanese Twin Style Room With Private Open-Air Bath via Agoda at ¥31,620 per room per night. 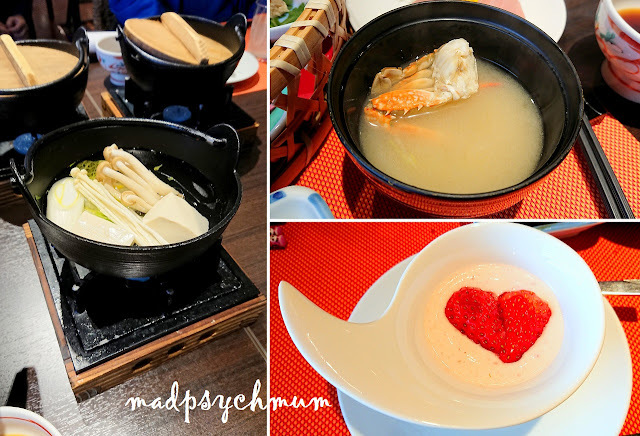 The price was inclusive of service charge, GST, bathing tax of ¥300, breakfast and dinner (more details on dinner at the end of this post; breakfast in the next post). We also had to pay approximately ¥500 per night for our boy for his food and accommodation. Note that the prices could vary depending on the season and whether it is weekday or weekend. The bath facilities are also open air with no shower. You'd need to go to the public bath to use the shower. Decent size room with zero closet space except for some hooks at the entrance. You'll just have to make do with whatever you have. The room and amenities were very simple but got the price we paid, it's very value for money! 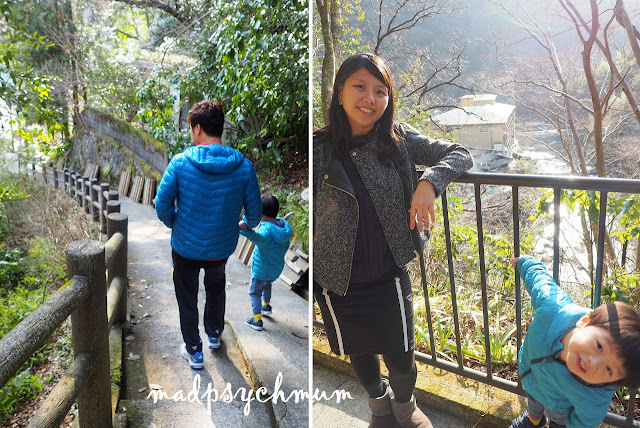 We headed out to explore the surroundings since the sky was still bright and the weather was good. We also stumbled upon Tonosawa Station, which was so deserted that we thought it was an abandoned station. It wasn't until we saw a train stopping at the station that we realised that people actually used this station! It was starting to get dark so we headed back. I was also starting to feel chilly and desperately in need of a nice warm bath! 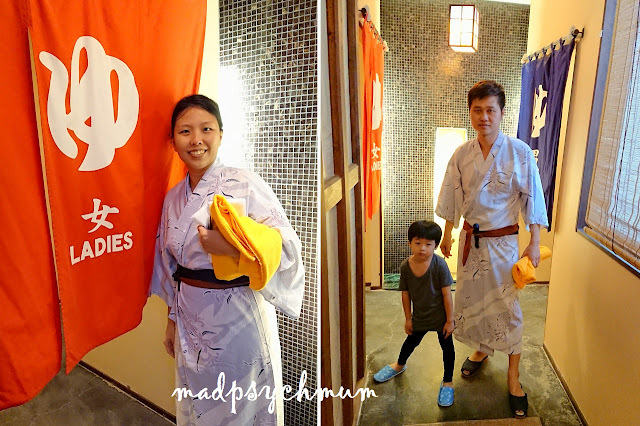 Unlike our ryokan in Izu, the boy didn't get his own Yukata, which explained why we only paid ¥500 for his accommodation. All raady to take our evening bath! After our nice warm bath, we had dinner at the ryokan's restaurant. The boy didn't get his own food but the restaurant got him kid-friendly bowls and cutlery to share ours. Frankly I prefer it this way as my boy eats really little and therefore it's so not worth it to pay for his share. 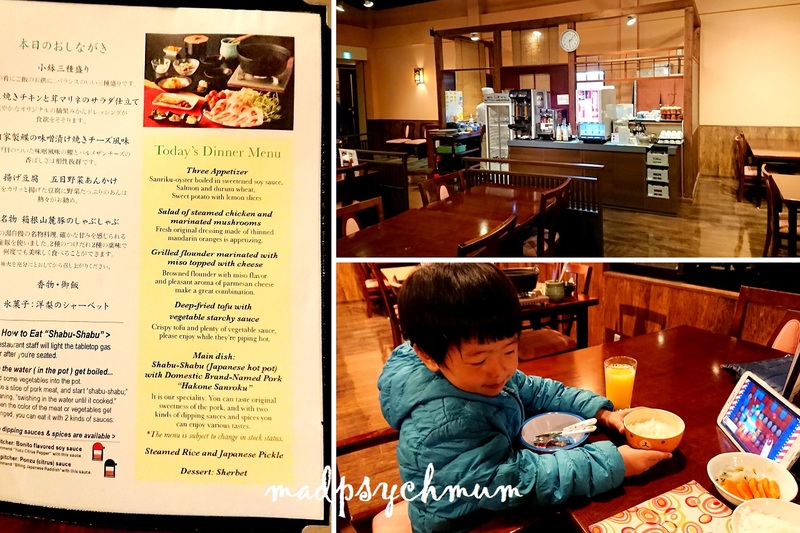 Although it's not as good as our dinners at Izu-Inatori Resort Sazana, it was still a sumptuous meal for the price we paid. The hubby was delighted with the free flow of beer and sake🍶! 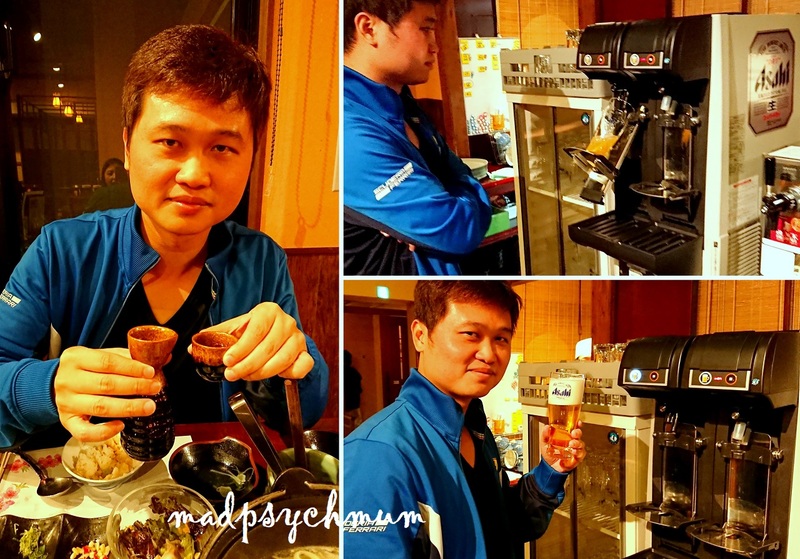 Beer also came from an automatic tap which was really cool to watch! We had a very enjoyable dinner! A great way to end our only night in Hakone. To tell you the truth, we only stayed at Hakone for one night because we wanted to experience what the hype is about. So many people had told us about how awesome their stay at Hakone was. 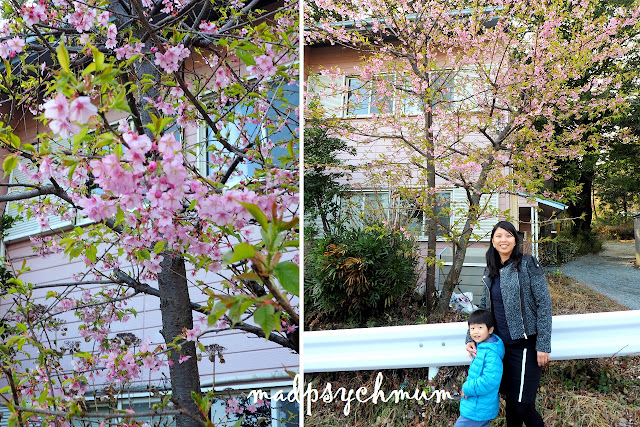 We just wanted to experience it for ourselves because we didn't get to stay here the last time we visited Hakone. I'd have to say that I really enjoyed the cool fresh air of the mountain! But other than that, we felt that Hakone was too touristy for us. 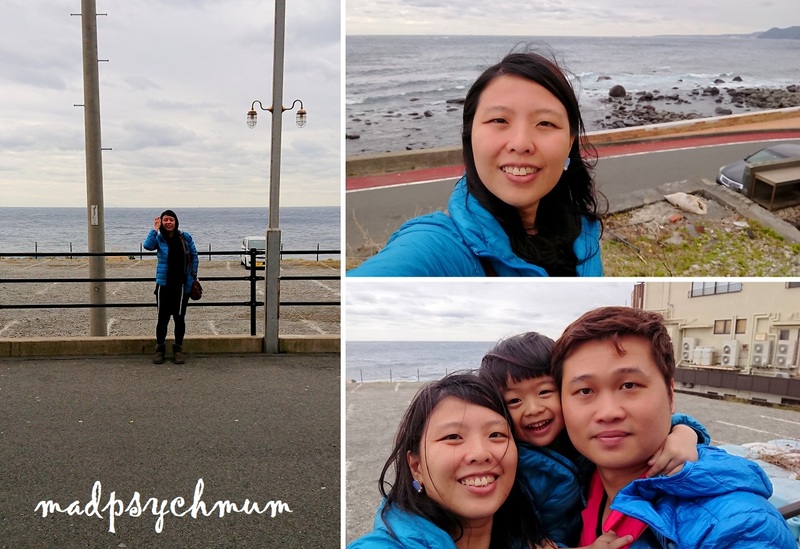 We preferred the laid back atmosphere of Izu, with very few tourists.